Deyimsel fiiller İngilizce’yi ana dili olarak konuşanlar tarafından sıklıkla kullanılan ve akıcılık için gerekli olan çok sözcüklü yapılardır. Bununla birlikte, bu deyimsel fiiller çok anlamlı doğaları ve anlamdaki değişiklikleri nedeniyle yabancı dil eğitiminin en sorunlu alanlarından birini oluşturmaktadır. Her ne kadar deyimsel fiilleri öğretmek ve öğrenmek zor olsa da bunlar öğretilmelidir; çünkü yabancı dil eğitiminin temel amaçlarından biri öğrencileri hedef dili gerçek hayatta anlamaya ve kullanmaya hazırlamaktır. Ayrıca, bu fiiller anadili İngilizce olanlar tarafından günlük konuşmalarda en yaygın kullanılan çok kelimeli yapılardan biridir. Bu çalışmanın amacı Türkiye’de yaygın olarak kullanılan İngilizce ders kitaplarındaki deyimsel fiillerin iki büyük derlem olan İngiliz Ulusal Derlemi ve Çağdaş Amerikan İngilizcesi Derlemi’ndeki sıklıklarını belirlemek ve bu iki derlemdeki en sık kullanılan deyimsel fiilleri belirlemektir. Buradan yola çıkarak bu çalışma a) bu iki derlemdeki en sık kullanılan 100 adet deyimsel fiili karşılaştırmış, b) “New Headway”, “New English File”, “Face2Face” ve “English Unlimited” kitaplarındaki tüm deyimsel fiilleri belirlemiş, c) bu sözcüklerin derlemlerdeki sıklık derecesini bulmuş ve d) ders materyal tasarlayanlara ve öğretmenlere önerilerde bulunulmuştur. Yabancı dil öğrenenlerin sıklığa karşı duyarlı oldukları gerçeğinden yola çıkarak ders kitaplarındaki deyimsel fiillerin sayısının yeniden gözden geçirilmesi gerektiği sonucuna ulaşılabilir. Phrasal verbs are multi-word constructions which are frequently used by native speakers and necessary for fluency in English. However, they constitute one of the most problematic areas of foreign language learning due to their idiomatization, polysemous nature, and variance in meaning. Although it is difficult to teach and learn phrasal verbs, they should be taught and learned because one of the main aims of foreign language education is to prepare students to understand and use the target language fluently in real life. Utilizing two mega corpora, the British National Corpus (BNC) and the Corpus of Contemporary American English (COCA), this study aims to determine the frequencies of phrasal verbs in coursebooks commonly used in Turkey and to point out the most frequent phrasal verbs in these two mega corpora. As a result, this study, a) compared the 100 most frequent phrasal verbs in the BNC and COCA, b) listed every single phrasal verb in the upper-intermediate level of “New Headway”, “New English File”, “Face2Face”, and “English Unlimited”, c) determined the frequency range of these phrasal verbs in the corpora, and d) provided implications for coursebook designers and teachers. As foreign language learners are sensitive to frequency effects in language learning, it can be concluded that the number of the frequent phrasal verbs should be reconsidered in the coursebooks. Armstrong, K. (2004). Sexing up the Dossier: A semantic analysis of phrasal verbs for language teachers, Language Awareness, 13(4), 213-224. Boers, F., & Lindstromberg, S. (2006). Cognitive linguistics applications in second or foreign language instruction: rationale, proposals, and evaluation. In G. Kristiansen, M. Achard, R, Dirven, & F. R. Ruiz de Mandoza Ibáñez (Eds. ), Applications of cognitive linguistics (pp. 305-358). Berlin/New York: Mouton de Gruyter. Bolinger, D. (1971). The phrasal verb in English. Cambridge, MA: Harvard University Press. Broukal, M., & Wood, E.N. (1990). Preparation for TOEFL. Macmillan Education Ltd. London. Cappelle, B., Shtyrov, Y., & Pulvermüller, F. (2010). Heating up or cooling up the brain? MEG evidence that phrasal verbs are lexical units. Brain & Language, 115, 189–201. Chen, J. (2005). Probe into the blind zones of Chinese EFL students in vocabulary learning. Paper presented at the Annual Conference of English Language Education Association. Xi’an: Xi’an International Studies University. Chen, J. (2007). On how to solve the problem of the avoidance of phrasal verbs in the Chinese Context. 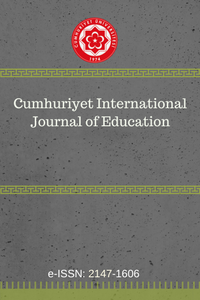 International Education Journal, 8(2), 348-353. Chen, J. (2013). Probe into the blind zones of Chinese EFL Students’ vocabulary learning. Theory and Practice in Language Studies, 3(7), 1214-1220. Collins, C. (1994). Collins COBUILD dictionary of phrasal verbs. London, England: Williams Collins Sons. Courtney, R. (1983). Longman dictionary of phrasal verbs. Harlow, England: Longman Publishing Group. Dagut, M., & Laufer, B. (1985). Avoidance of phrasal verbs: A case for contrastive analysis. Studies in Second Language Acquisition, 7, 73–79. Darwin, C. M., & Gray, L. S. (1999). Going after the phrasal verb: An alternative approach to classification. TESOL Quarterly, 33, 65–83. Davies, M., & Gardner, D. (2010). A frequency dictionary of contemporary American English: Word sketches, collocates, and thematic lists. New York: Routledge. Gardner, D., & Davies M. (2007). Pointing out frequent phrasal verbs: A Corpus based analysis. TESOL Quarterly, 41(2), 339-359. Hulstijn, J., & Marchena, E. (1989). Avoidance: Grammatical or semantic causes? Studies in Second Language Acquisition, 11, 241–255. Jackendoff, R. (2010). Meaning and the lexicon: The parallel architecture, 1975– 2010. New York: Oxford University Press. Kao, R. (2001). Where have the prepositions gone? A study of English prepositional verbs and input enhancement in instructed SLA. International Review of Applied Linguistics in Language Teaching, 39, 195–215. Kayael, R. (2007). Do Turkish teacher trainees avoid English phrasal verbs? A study with the students of ELT department (Unpublished Master’s Thesis), Anadolu University, Eskişehir, Turkey. Koprowski, M. (2005). Investigating the usefulness of lexical phrases in contemporary coursebooks. ELT Journal, 59(4), 322-332. Kurtyka, A. (2001). Teaching English phrasal verbs: A cognitive approach. In M. Putz, S. Niemeier & R. Dirven (Eds. ), Applied cognitive linguistics II:Language pedagogy (pp.3-28). Berlin: Mouton de Gruyter. Lee, H. (2012). Concept-Based Approach To Second Language Teaching and Learning: Cognitive Linguistics-Inspired Instruction Of English. Unpublished doctoral dissertation, The Pennsylvania State University, University Park, PA.
Liao, Y., & Fukuya, Y.J. (2004). Avoidance of phrasal verbs: The case of Chinese learners of English. Language Learning, 54(2), 193-226. McCarthy, M. (2004). From corpus to course Book. New York: Cambridge University Press. Olteanu, A. (2012). A holistic approach to phrasal verbs. Editura Sfântul Ierarh Nicolae. Redston, C., & Cunningham, G. (2007). Face2Face: Upper-Intermediate Student’s Book. Cambridge: Cambridge University Press. Richards C. J., & Schmidt R. (2010). Longman Dictionary of Language Teaching and Applied Linguistics. Great Britain, Pearson. Siyanova, A., & Schmitt, N., (2007). Native and nonnative use of multiword vs. one-word verbs. IRAL, 45, 119–139. Soars, L., & Soars, J. (2004). New Headway: Upper- Intermediate Student’s Book. Oxford: Oxford University Press. Trebits, A. (2009). The most frequent phrasal verbs in English language EU documents – A corpus-based analysis and its implications. System, 37, 470 481. White, R. V. (1988). The ELT Curriculum: Design, Innovation and Management. Oxford: Basil Blackwell. White, B. J. (2012). A conceptual approach to the instruction of phrasal verbs. The Modern Language Journal, 96(3), 419-438. Vygotsky, L.S. (1978). Mind in society: The development of higher psychological processes. Cambridge, MA:Harvard University Press. Yasuda, S. (2010). Learning phrasal verbs through conceptual metaphors: a case of Japanese EFL learners. TESOL Quarterly, 44(2), 250-273.